Chemical spills happen and can immediately become hazardous waste situations. 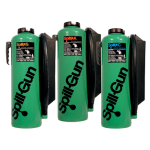 The SPILL-X product line of free-flowing treatment agents provides a quick, safe and cost-effective alternative spill control method. SPILL-X agents are specifically formulated to treat acid, caustic, solvent and formaldehyde spills by neutralizing, solidifying and/or adsorbing. 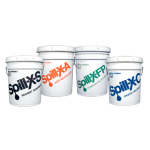 Four agents are formulated for various needs, including SPILL-X-A for mineral and organic acid spills; SPILL-X-C for caustic and organic base spills; SPILL-X-S for common hydrocarbon solvents and fuel spills; and SPILL-X-FP for formaldehyde spills. Disposal of spill waste material must meet local, state, and federal regulations.